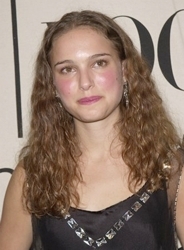 Curly girl Natalie Portman has been known to do some dramatic things to her hair in the name of her career. Who can forget the stunning image of Natalie on the February 2004 cover of Vogue Magazine wearing a Louise Brooks chin length brunette bob cut and styled by the iconic hair guru Serge Normant. For her Vogue feature Natalie waxed poetic about her recent role as a young widow of war caring for her sick baby boy in Cold Mountain with Nicole Kidman. Of course we all remember that little film which won both actresses a lot of acclaim. Then there was her work in the neo-romantic comedy, Garden State as well as her role in Closer directed by Mike Nichols. Even at the young age of 22 Natalie was establishing her reputation as a powerful actress who approached each of her various acting roles with courage, truthfulness and enormous resources. Her bobbed hair which was a radical change from her signature naturally textured chocolate strands. The hair transformation was welcomed by Natalie. When Natalie was required to completely shave her head for her part in V she welcomed the opportunity to completely embrace her character. Her drastic head shaving generated major media buzz but the actress didn’t reach for the razor for publicity but to honor her craft. Natalie has always been a fan of the more classic looks for both her fashions as well as her hair. Afterall, as she astutely pointed out to Vogue “I’m a tiny girl. I can’t do too much frouf!” Indeed, Natalie who has naturally curly hair looks fantastic when she wears her tresses in a short sleek bob or in her current style of longer loose beach inspired waves. She also has the perfect eyes, lips, cheeks and face to rock a sleek updo, twist or classic ballerina bun. Who better than Natalie to play the ballerina in the current Black Swan which has won her so many acting kudos including an Academy Award nomination? Natalie continues to be willing to part with her tresses for her acting craft while doing her own thing with her look. Her independent style which always looks polished. Her classic good looks resulted in her recently being named the face of Dior Beauty. Natalie follows in the footsteps of Monica Belluci. Her angelic face will initially appear as the face of the Miss Dior Cherie fragrance, which is expected to be only the start of her relationship with the house. 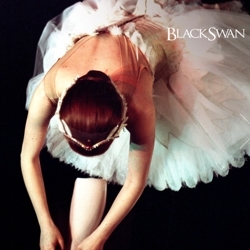 Although a long time fan of dance, Natalie told the media that she took the role of Black Swan because the film is about how easy it is to dispose of women based on them aging. In the world of ballerinas, this is even worse than Hollywood as dancers vie for sacred spots and do anything to keep their soft beauty that will create the vibe of a prima ballerina. The actress who is very close to her parents recently announced her pregnancy and engagement. Knowing Natalie, her upcoming role as a mother will provide her with new inspiration to “do her own thing” with her signature naturally textured tresses. Please follow me on Twitter at Twitter.com/HairBoutique. I look forward to meeting new people from all walks of Twitter and learning from their Tweets. Visit us at HairBoutique.com, on Facebook, MySpace and YouTube. This entry was posted on Tuesday, January 4th, 2011 at 4:25 pm	and is filed under Naturally Curly. You can follow any responses to this entry through the RSS 2.0 feed. Both comments and pings are currently closed.